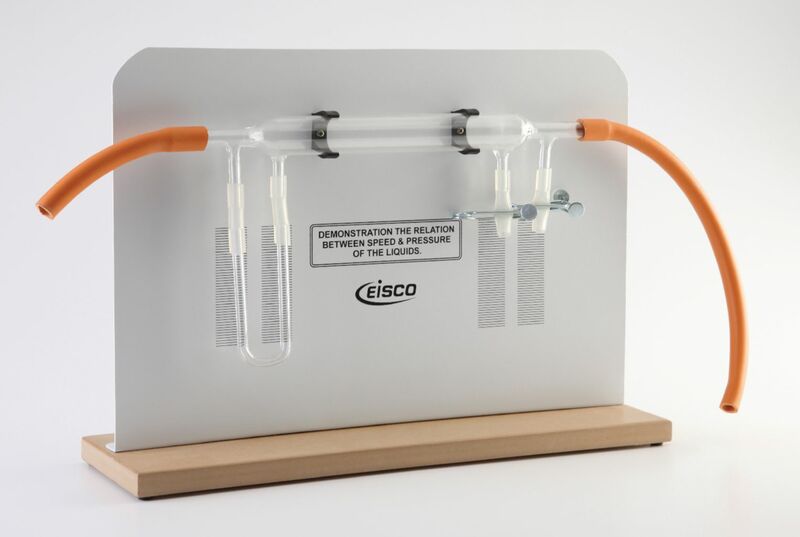 This impressive demonstration consists of a glass Ventri tube with two different diameters, with a set of additional tubes attached to the different sections . One pair holds a U-shaped tube in which a color liquid can be placed to demonstrate the different pressures exerted when air is blown through the tube. Ordering information: Demo includes two rubber hoses, glass Venturi tube, U-shaped tube and two hose clamps.